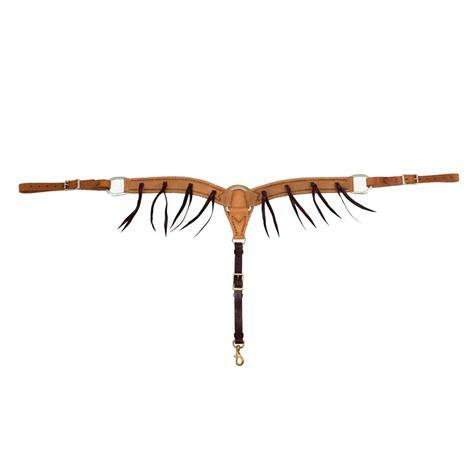 This is a 27 strand mohair breast collar from Martin Saddlery. 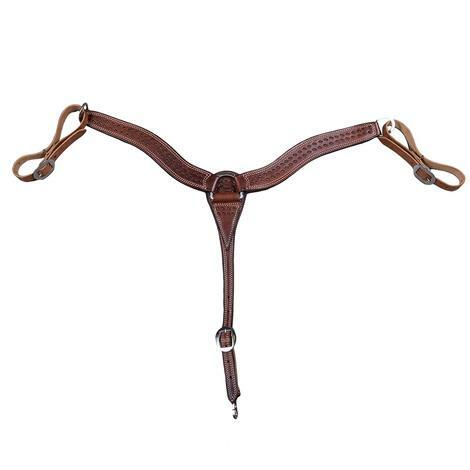 Made from strong and flexible natural fibers, this breast collar is easy on you horse. The natural fibers also don’t have any dyes, making each one unique in color and variation. This is a 3 inch breast collar. 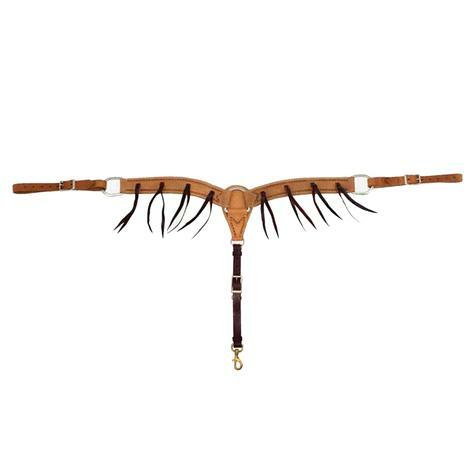 Rafter T Ranch is offering a scalloped leather breast collar with yellow Sunflower tooled accents. Beaded inlay and silver studs. Complete with harness leather tugs. 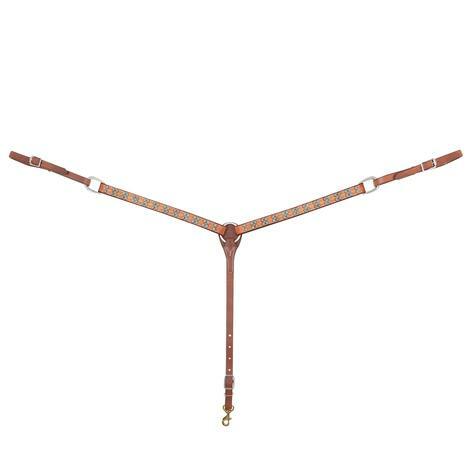 This great piece of tack can be accented with matching available headstalls and reins. Pick yours up today! 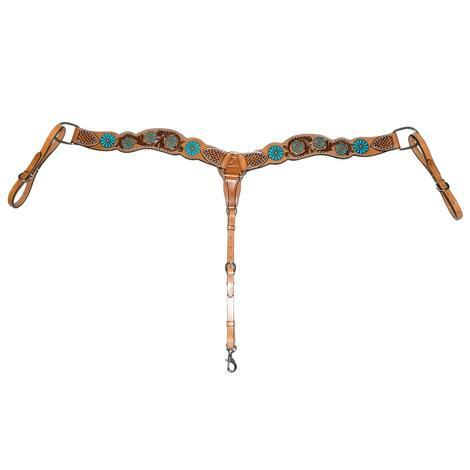 Rafter T Ranch is offering a scalloped leather breast collar with Zuni turquoise floral tooled accents. Complete with harness leather tugs. 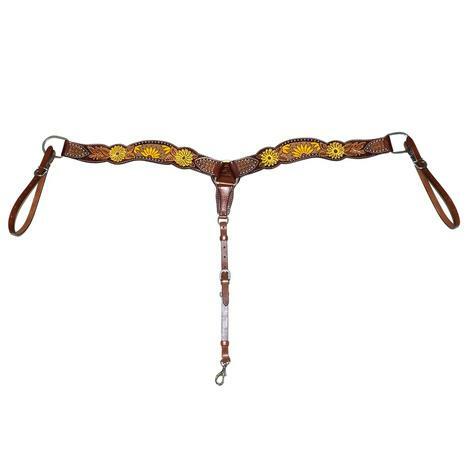 This great piece of tack can be accented with matching available headstalls and reins. Pick yours up today! 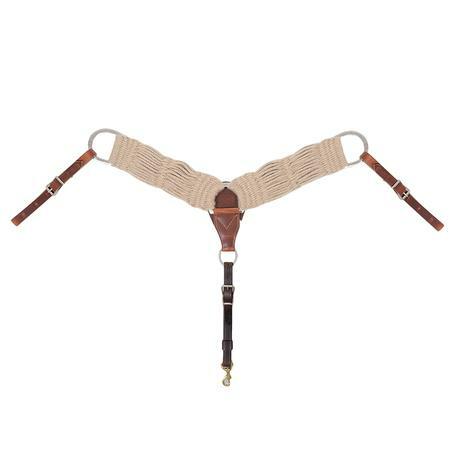 2" style breastcollar from Martin Saddlery made with 13 strands of mohair fibers. 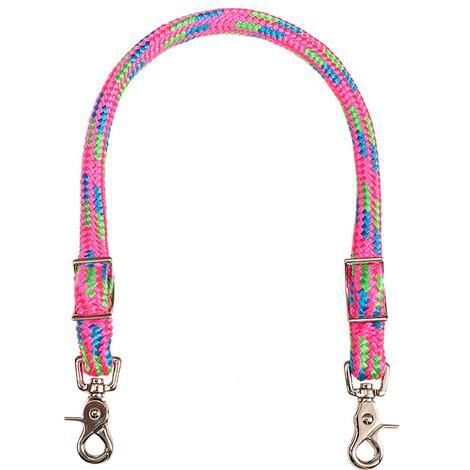 Mustang MFG Nylon round braided wither strap. 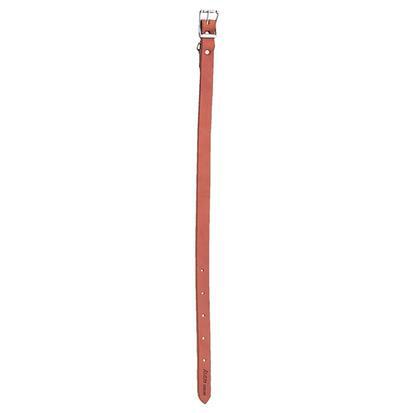 This strap is adjustable and available in a variety of color combinations. 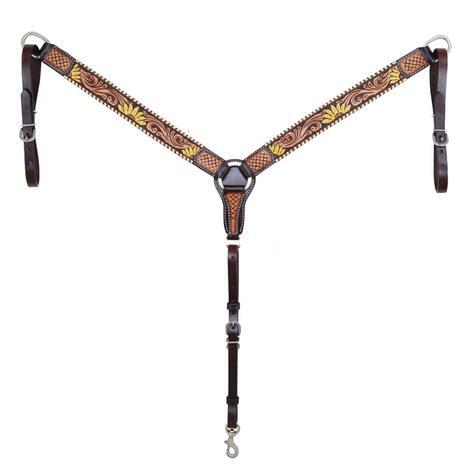 This breast collar from Rafter T Ranch features a hand painted sunflower design and two tone tooling with a metallic whipstitch bordering the top and bottom. Breast collar from Rafter T Ranch Co. featuring an embroidered Aztec design over red suede. 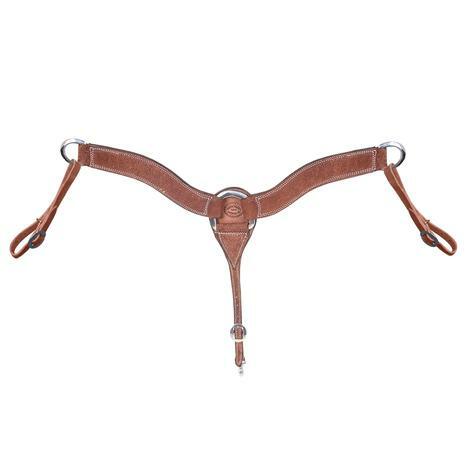 This high quality black leather breast collar features intricate textured hand stamping. 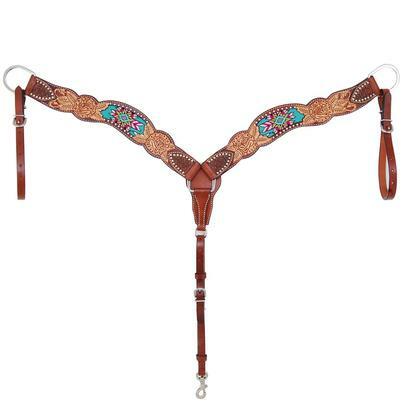 South Texas Tack single weave breast collar with chocolate leather and stainless steel hardware. Breast Collar Tugs from STT. 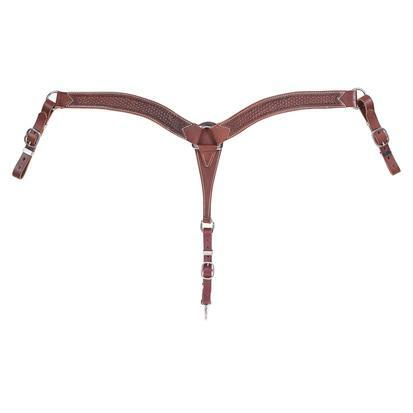 Made from premium harness leather. The roller buckles and keepers are both stainless steel. 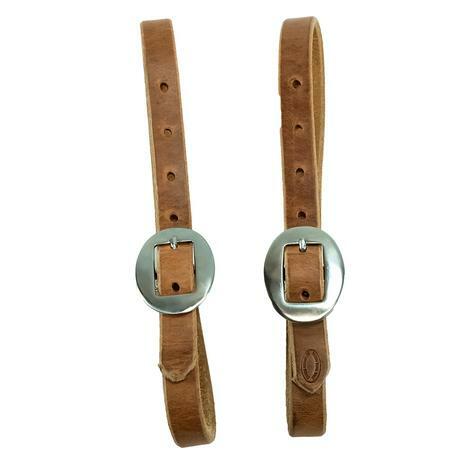 These ¾ inch breast collar tugs come as a pair. Roughout Breast Collar Exclusively available from STT. 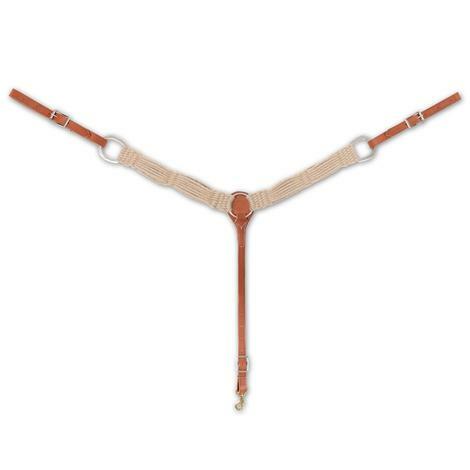 This breast collar is made from Hermann Oak leather and stainless steel hardware. It is a 2 ¾ inch breast collar. 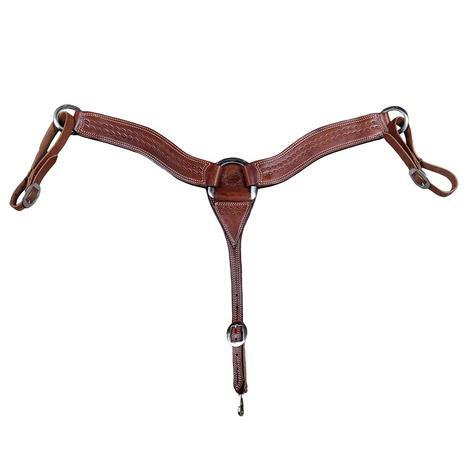 This is an STT exclusive 2 inch breast collar. The roughout Hermann Oak leather is chocolate. All the hardware on this stitched breast collar is stainless steel. 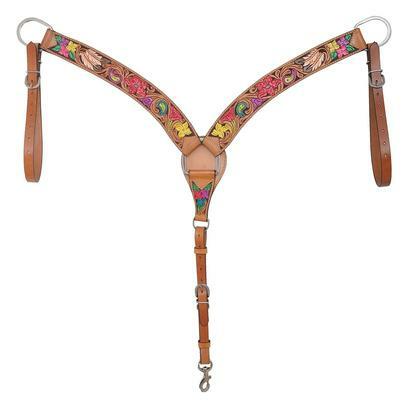 Breast collar from the Hand Painted Floral Collection made by Rafter T Ranch Co. The natural leather is hand tooled, hand drawn, and hand painted. A vibrant floral design shines from the black painted background. This beautiful breast collar features beaded inlay, hand tooled roses, basket weave accents, and sterling silver dots. The stitched leather is natural and chestnut. 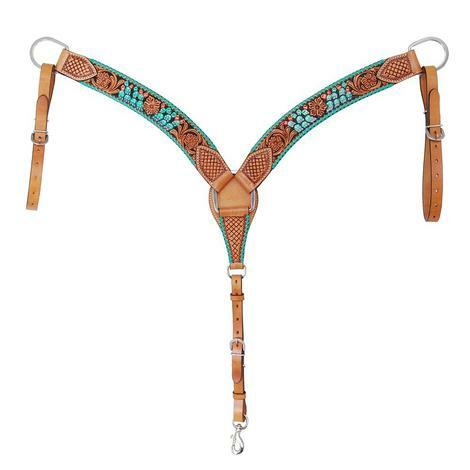 This statement breast collar is part of the beaded inlay collection made by Rafter T Ranch. 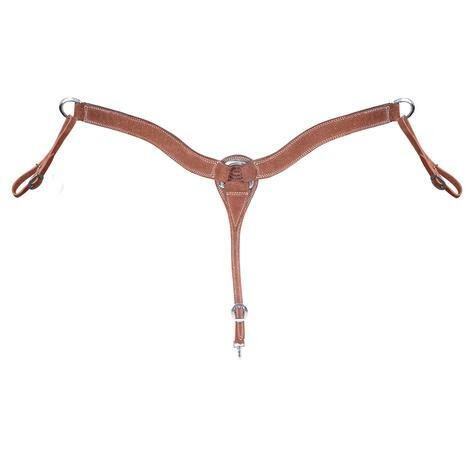 Complete breast collar made from slickout leather that is stitched for added durability. Decoratively tooled with basket weave pattern and a camo border. All hardware is made from weather resistant stainless steel.